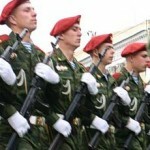 On February 5, 2010 President Dmitri Medvedev approved a new Military Doctrine of the Russian Federation. 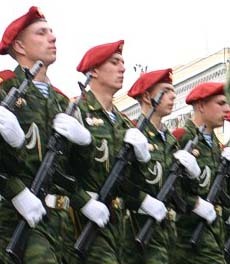 The document replaces the version adopted in 2000 and will serve as a frame of reference for the Russian military through 2020. (b) developing and coordinating measures toward maintaining the defense capabilities of the Union State in accordance with the Military Doctrine of the Union State. According to the new doctrine, Russia can use nuclear weapons in response to the use of any types of weapons of mass destruction against itself or its allies. However, the doctrine does not provide for pre-emptive nuclear strikes. In fact, it reduces Moscow’s reliance on nuclear weapons, contrary to the predictions and concerns raised in the Western media throughout 2009. Read the full text of the doctrine in Russian. 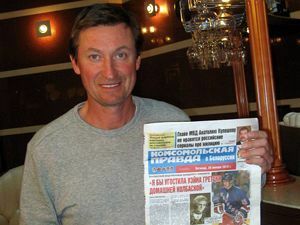 Wayne Gretzky, the legendary Belarusian-Canadian ice hockey player, has met his Belarusian relatives during a visit to Belarus, Komsomolskaya Pravda v Belarusi reported. Gretzky’s grandfather Anthony Gretzky (Ciarenci Hrecki) was a Belarusian immigrant to Canada. 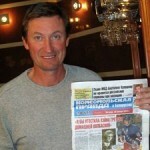 Wayne Gretzky’s Belarusian relatives still live in the Hrodna province of Belarus. In the early 20th century Ciarenci Hrecki, a peasant from Polesia, together with his wife Hanna and son Zinovi, went to Canada. They fled the war and devastation. Four more of the Hrecki children were born in Canada: Fiodar, Vasil, Kataryna and Voĺha. The family’s history doesn’t mention why, but in the 1930s Hanna and the children had to return to Western Belarus, which was a part of Poland at the time. Ciarenci was supposed to follow his family later on, but he never did. Ciarenci, without waiting for Hanna, married for a second time. He had more children in the new marriage, including son Walter, the future father of Wayne Gretzky. Once the Belarusian branch of the Hreckis heard the name Wayne Gretzky, they decided to find out whether they were related. Halina Saldacienkava, Ciarenci’s granddaughter from the Belarusian town of Svislač, recalled that her father Zinovi had for a long time exchanged letters with her grandfather who lived in America. In his letters, the grandfather would often mention Wayne, who he called Vania. From America came a letter from Albert Gretzky, Wayne’s uncle, and all were convinced that they are relatives. But at the time their relationship didn’t develop into more than an exchange of a few letters. This is the story Halina Saldaciankava told us. It turned out that she and Wayne Gretzky had a common grandfather.